Completed in 2005, luxury lofts at 210 South Street in the Leather District offer 54 beautiful residential units. Lofts feature expansive windows, high ceilings, hardwood floors, luxury finishes such as Italian cabinets and granite counters, contemporary kitchens and baths, as well as in-unit washer and dryer. This Leather District building also includes all the amenities you would expect from one of Boston's newest developments. The property has a concierge and a secure entrance, new elevators, on-site gym, and extra storage lockers. Parking is available for rent in the nearby garage. In addition, this is a pet-friendly establishment. 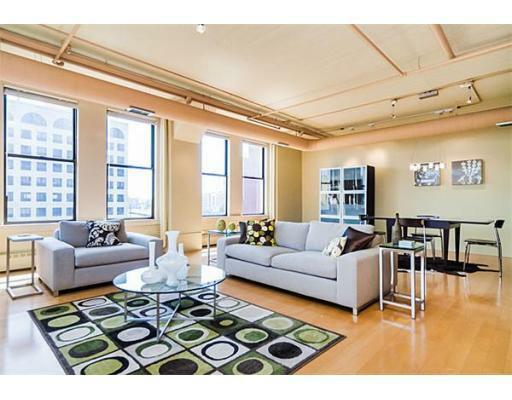 Located within easy walking distance to the Orange and Green Lines and all the amenities of downtown Boston. 210 South Street Lofts combine a truly unique blend of history and modern elegant lifestyle. Contact us with any questions or to tour one of the 210 South St. units on our site. You can also create an account to save all of your favorite Boston lofts. 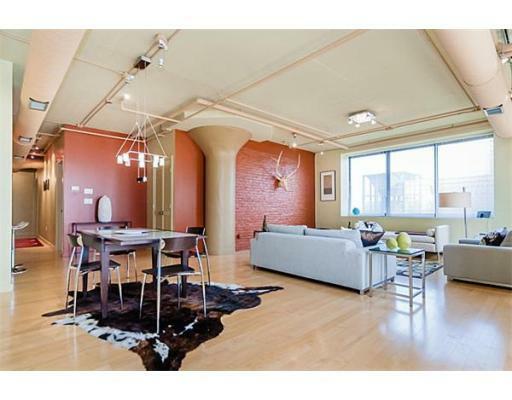 Enjoy this wonderful layout and dramatic corner exposure of this downtown loft in Boston's Leather District. This open floor plan and bright south-westerly exposure lend to this units exaggerated sense of space and light. Original details include concrete ceilings and flared concrete columns, recalling this buildings past. Beautiful pre-finished hardwood flooring are in the main living area. Granite counter tops and Italian cabinetry as well as stainless appliances are featured in the kitchen. In-unit laundry and deeded storage in the basement. The Residences at 210 South Street is the only residential building in the neighborhood that has a Concierge. The building is steps to the Red Line, South Station, Downtown, the Financial District, Fort Point and Seaport Neighborhoods. Easy access to the expressway and Mass.Pike.